Margaret of Anjou, whom the English still (550 years later - they do take a while to accept a French woman as English) call "Margaret of Anjou" (rather than Queen Margaret), was Queen (or "queen consort") of England from 1445 to 1461 and again from 1470 to 1471. Shakespeare gave Margaret some of the best scenes, and one of the most enduring, sustained character arcs, of any of his characters (certainly the most important for any female character). She first appears as a captive of the English in Henry VI Part 1, when the Earl Of Suffolk, her captor, falls immediately and passionately in love with her. In Henry VI Part 2 she is Queen, but Suffolk is out of favor and must flee. His goodbye is one of Shakespeare's most poetic, passionate, and heartbreaking scenes. In Henry VI Part 3, Margaret, in the midst of wars, speaks one of the most bitter, cruel vengeful speeches in Shakespeare, mocking and then killing her enemy, York, who addresses her, saying: "O tyger's heart wrapt in a woman's hide!". In Richard III, Margaret, now an old woman, stands up to Richard III with curses, and decries the evils that have been done. The Red Bull Theater has just held a two week "lab" developing a play that encompasses the sway of her appearance in all the plays. The result is the play -- which will be presented Friday (2/25) through Sunday (2/27), together with a benefit on Saturday evening -- Margaret: The Tyger's Heart (the title coming, as above, from York's description in Henry VI Part 3 -- "O tyger's heart wrapt in a woman's hide!" actually, one of several references to Margaret as a tyger). The play was developed in collaboration with The Shakespeare Society. Developing the Classics of the Future. Focusing on Margaret of Anjou from Shakespeare’s Henry VI, Pts 1, 2 and 3, and Richard III, this workshop will explore the journey of one of Shakespeare’s most remarkable characters, a woman of astonishing variety with an extraordinary arc over four history plays. The aim of the two-week Lab is to create an evening-length theatrical work for nine actors that tells the riveting story of Margaret’s progress from young woman to queen, lover, wife, mother, political operator and battlefield commander, exploring the comic, macabre, as well as the human and loving sides of Shakespeare’s Margaret. Produced by Red Bull Theater in collaboration with The Shakespeare Society, the workshop offers four public presentations. A new work laboratory series, IN THE RAW creates an artistic bridge between Revelation Readings and Full Productions, providing space, time, and support for projects ready to move beyond a staged reading, but that require further development and exploration prior to full production. Each IN THE RAW project receives a workshop with a director, top-notch actors and designers, and includes public presentations. We are pleased to share this part of the creative process with our audience. Margaret of Anjou lived for 52 years, from March 23, 1430 to Aug 25 1482. She was born in the Duchess of Lorraine, the second eldest daughter of René I of Naples, Duke of Anjou and Bar, King of Naples and Sicily... and Isabella, Duchess of Lorraine. On April 23, 1445, at the age of 15, she married King Henry VI of England, who was 23. She was described (by Shakespeare, his sources, and others) as beautiful and strong willed. She entered the English political scene as strife between warring factions in England escalated. In May 1455, a Great Council solidified the split and enmity with the Yorkists, which initiated thirty years of the War of the Roses. Many of the wars were fought in and over French territory. Even the terms of Henry's marriage to Margaret were seen by some as too favorable to the French. This may be one cause, or one result, (or both), of the fact that Margaret, a French woman, was not popular among some factions of the English court. The father of Henry VI, Henry V, had conquered most of France. Henry VI fought many wars to hold France, much of the war unsuccessful. Indeed, Margaret's campaigns on behalf of Henry may well be considered more successful than his. Although allies of Margaret managed to defeat Richard Plantagenet, the Duke of York, in 1460, and Margaret had him beheaded (described in the famous scene in Henry VI part 3 above), the Yorkists managed to depose Henry VI in 1461. He regained the throne briefly in 1470. Though Henry VI was imprisoned, and then killed (by the future Richard III) in 1471, Margaret, after being imprisoned, was ransomed by the French king, and lived until 1482. During the quieter period of her reign, between 1445 and 1455, Margaret was a champion of education, and founded Queens' College in Cambridge. Floating past Queens' College on the river Cam is like travelling 550 years back in time. before 1446 - Andrew Dokett was already Principal of St Bernard's Hostel on a site now occupied by the New Court of Corpus Christi College. He was also Rector of St Botolph's, the church of the parish within which Queens' College lies. 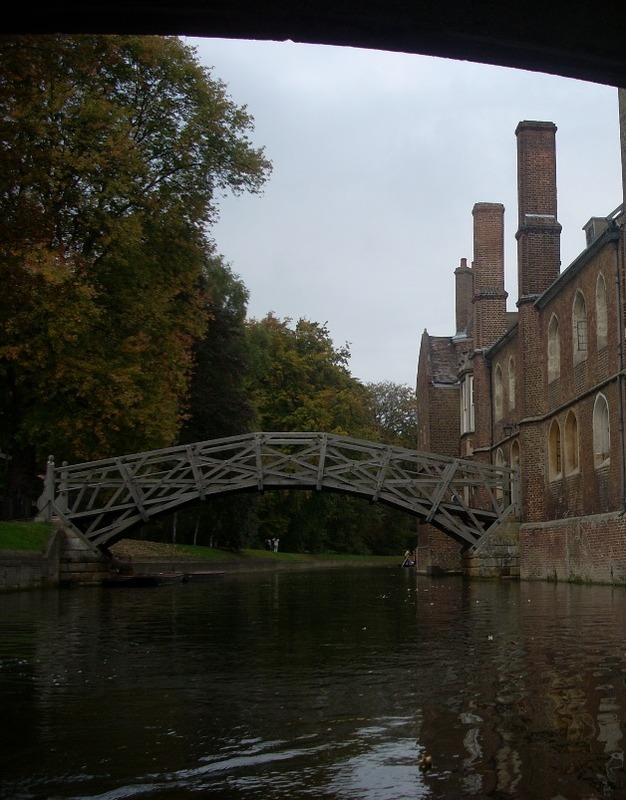 1446 Dec 3 - Andrew Dokett obtained a Charter from King Henry VI to found St Bernard's College on a site now part of St Catharine's College. 1447 Aug 21 - First Charter revoked. Andrew Dokett obtained a new charter from King Henry VI to found St Bernard's College on the present site of Old Court and Cloister Court. 1447-8? - Petition of Margaret of Anjou to her husband the King to have the foundation and naming of the new college. Second Charter returned to the King and the lands of StBernard's College surrendered to him. 1448 Mar 30 - Letters Patent from King Henry VI to Queen Margaret granting her the lands of St Bernard's College and licence to found a college. 1448 Apr 15 - Charter of Queen Margaret to found the Queen's College of St Margaret and St Bernard. 1448 Apr 15 - Sir John Wenlock, Chamberlain to Queen Margaret, lays the foundation stone at the south east corner of the chapel. 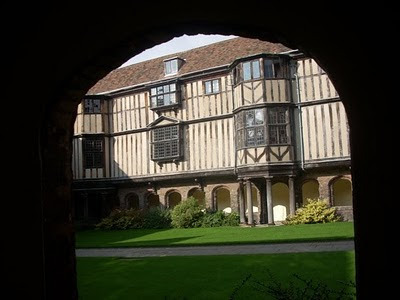 1448 - First part of Old Court completed: the Library, Chapel, E stairs, Gatehouse, A stairs and part of B stairs. 1449 - King Henry VI gives 200 for the buildings. 1449-50 - Old Court completed: remainder of B stairs, C stairs, Kitchens, Hall. 1454 - Chapel licensed for services. Courtyard view through the arch. SHOOTING STARS 2011At a press conference on Monday, February 14th. 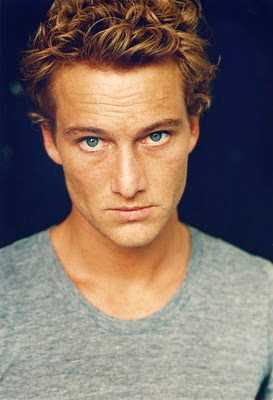 Pilou Asbæk (Denmark), Alexander Fehling (Germany). Clara Lago (Spain), Andrea Riseborough (United Kingdom), Sylvia Hoeks (The Netherlands). Nina Hoss, incidentally, is a member of this year's jury at the Berlin Film Festival. For the last few years, several Shooting Stars have attended the Hampton's International Film Festival (HIFF) in October, joining the HIFF Rising Stars for the Hamptons' Breakthrough Performers program. In 2008, Anamaria Marinca and Hannah Herzsprung were among the visitors to the Hamptons. In 2009, Alba Rohrwacher (I Am Love) was a visitor. This year, more than usual I think, many of the Shooting Stars have appeared in films that have been seen in the US. Domhnall Gleeson actually appeared on stage here, garnering a Tony nomination for his perfomance in Martin McDonagh's "The Lieutenant of Inishmore" on Broadway. Domhnall was also in True Grit, Harry Potter and the Deathly Hallows (Parts I & II) and, together with Andrea Riseborough, in Never Let Me Go. Andrea also appeared in Made in Dagenham. 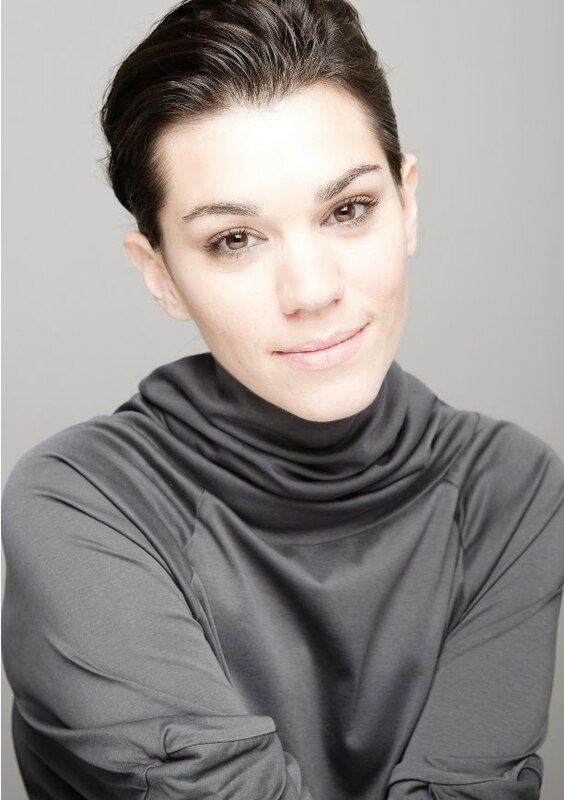 Sylvia Hoeks was seen in The Storm, the Opening Night film at the Stony Brook Film Festival last year. And Alexander Fehling was seen in Inglorius Basterds. Like Andrea and Domhnall, Shooting Stars have often appeared in films together. Marija Skaricic and the 2010 Shooting Star Zrinka Cvitesic were both in "What's A Man Without A Moustache?". And Alexander Fehling was in Storm (different from Sylvia's The Storm) together with 2008 Shooting Star Anamaria Marinca. We'll have to see whether some of this year's Shooting Stars will bring their films to the Hamptons. Hopefully, quite a few of these charismatic actors will be able to visit HIFF with their films in October. =>Born in Tirana, Albania, Nik Xhelilaj graduated from the Academy of Fine Arts there in 2008. =>His film acting debut was the short SINGLE USE (Erion Hasanllari, 2005). --and Artan Minarolli's ALIVE! (2008). --and the 'Best Actor' award at the 47th International Antalya Golden Orange Film Festival. 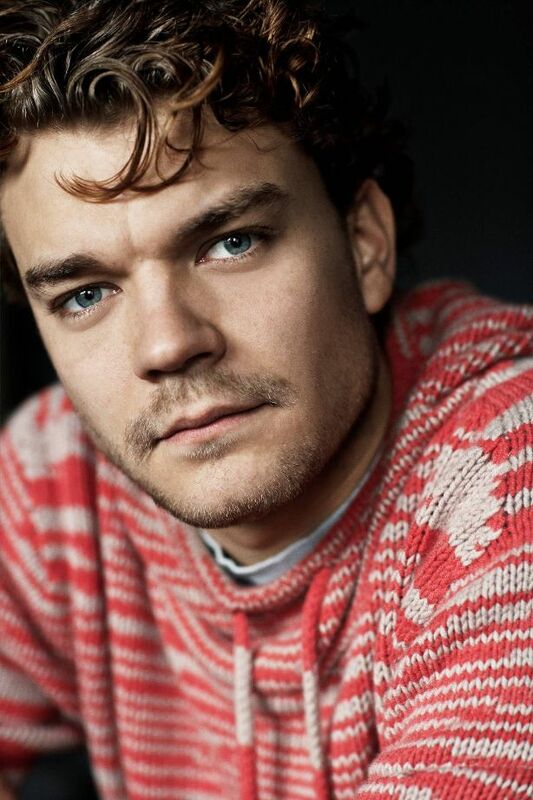 =>Born in Copenhagen, Pilou Asbæk graduated from The Danish National School of Theatre in 2008. => He made his screen debut with Niels Arden Oplev's WORLDS APART, and was nominated for Danish TV 2 Zulu's People's Choice Award as 'Best Supporting Actor'. =>In 2009, Pilou portrayed a crippled Iraq veteran in the EMMY-nominated DR TV series "The Killing II". 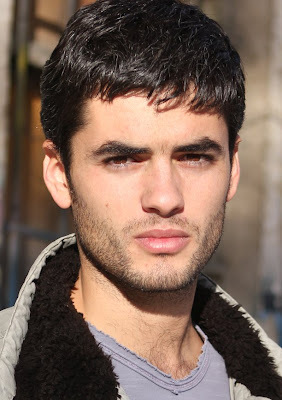 =>2010 saw Pilou in his first lead role in Michael Noer and Tobias Lindholm's R, as the prisoner "R". =>Pilou starred in Pernille Fischer Christensen's A FAMILY, in competition, and winner of the International Film Critics' FIPRESCI Award for Best Film, at the 2010 Berlinale. =>Sylvia Hoeks was born in Maarheeze, The Netherlands. =>At 14 she began working with Elite models. 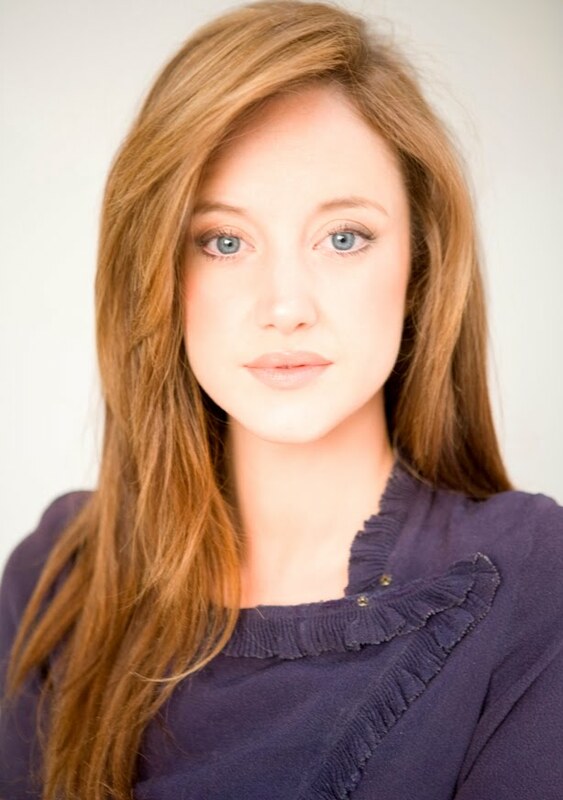 =>She studied at the Maastricht Theatre Academy. =>For Jos Stelling's DUSKA (2007), Sylvia won the 'Best Supporting Actress' Golden Calf at the annual Dutch Film Festival in Utrecht. =>She appeared in "Vuurzee (Vara)" and "Bloedverwanten (Avro)" on Dutch TV. =>At Portugal's Festroia International Film Festival she was named 'Best Actress,' also for THE STORM. =>In 2010, she starred in the title role of Rudolf van den Berg's TIRZA, The Netherlands' official submission for the Academy Awards 2011. =>Natasha Petrovic was born in Stip, Former Yugoslav Republic of Macedonia. =>She has been studying drama in the Faculty of Dramatic Arts of the Sts. Cyril and Methodi University in Skopje since 2007 and will graduate in 2011. =>Her first feature film role was Milcho Manchevski's SHADOWS which premiered at the Toronto International Film Festival in 2007 and was the national Academy Award submission in 2008. =>In 2009, she played the lead role of Samira in Juanita Wilson's feature debut AS IF I AM NOT THERE. For this performance, Natasha is nominated for 'Best International Actress Film' at this year's Irish Film & TV Awards. =>Marija Škaricic was born in Split, Croatia. =>She trained at the Academy of Dramatic Art in Zagreb. =>Her first leading role in A WONDERFUL NIGHT IN SPLIT (Arsen A. Ostojic, 2004) earned her the Heart of Sarajevo award for 'Best Actress' at the Sarajevo Film Festival. =>She co-starred alongside Zrinka Cvitešic and Leon Lucev in the romantic comedy WHAT IS A MAN WITHOUT A MOUSTACHE? (Hrvoje Hribar, 2005). =>In 2006, she garnered another Heart of Sarajevo for FRAULEIN by Andrea Štaka. --and Zvonimir Juric's short YELLOW MOON. =>For her role in Dalibor Matanic's MOTHER OF ASPHALT, she won the Golden Arena for 'Best Actress in a Leading Role' at the 57th Pula Film Festival as well as the FIPA d'Or Grand Prize. 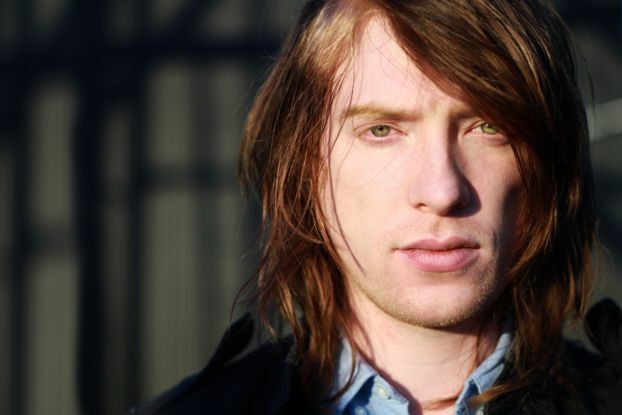 =>Domhnall Gleeson studied Media Arts at the Dublin Institute of Technology. =>He made his film acting debut in Martin McDonagh's short SIX SHOOTER (2004). =>In 2006, he earned a Tony Award nomination for his part in the Broadway production "The Lieutenant of Inishmore". =>He followed this with an Irish Theatre Award nomination for 'Best Supporting Actor' for his role in "American Buffalo" at the Gate Theatre in 2007. --He played the lead in the Irish feature SENSATION (Tom Hall, 2010). --He was in the 2011 Berlinale opening film TRUE GRIT (Ethan and Joel Coen, 2010). 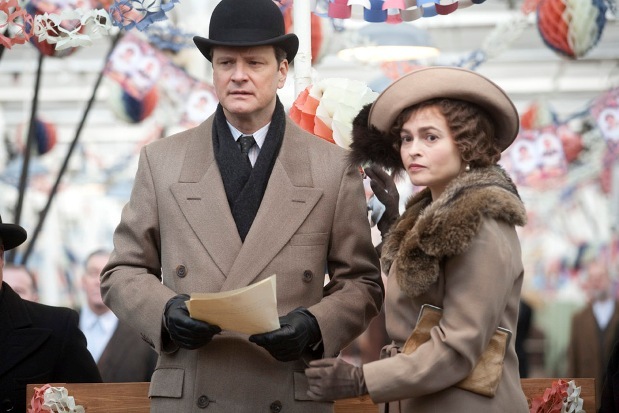 --He appeared along with Andrea Riseborough and Keira Knightley in NEVER LET ME GO (Mark Romanek, 2009). --He was also in A DOG YEAR (George LaVoo, 2006). --Domnhall appeared alongside his father, Brendan Gleeson, in Paul Mercier's STUDS (2005) and the two parts of HARRY POTTER AND THE DEATHLY HALLOWS. =>He will be in his father's directorial debut AT SWIM-TWO-BIRDS (2011). =>For his performance in "When Harvey Met Bob" he is nominated for 'Best Actor in a lead role TV' at this years' Irish Film & TV Awards (IFTA). =>Madrid-born Clara Lago was only ten years old when she auditioned for her first role. =>Two years later she won a Goya Awards nomination as 'Best Emerging Actress' for her title role in Imanol Uribe's CAROL'S JOURNEY (2002). =>Since then, Clara has been able to follow an acting career and continue her school education, which included a year's schooling in the United States. --and Andi Baiz's BUNKER in Colombia. =>Andrea Riseborough graduated from the Royal Academy of Dramatic Arts (RADA) in 2005. =>She won the 2006 Ian Charleson Award, for exceptional classical stage work from actors under 30, for her performances in "Miss Julie" and "Measure For Measure". =>In 2009, Andrea was nominated for the BAFTA TV Award for her portrayal of the young Margaret Thatcher in the TV drama "The Long Walk To Finchley". --and W.E. (2011) as Wallis Simpson, under the direction of Madonna. =>Alexander Fehling studied acting at the Hochschule für Schauspielkunst "Ernst Busch" from 2003-2007. =>He made his film debut in Robert Thalheim's AND ALONG COME TOURISTS (2006), for which he received the Young German Cinema Award as 'Best Actor' at the Filmfest München in 2007. =>He had supporting roles in Heinrich Breloer's BUDDENBROOKS (2007), Hans-Christian Schmid's STORM (2008), and Quentin Tarantino's INGLOURIOUS BASTERDS (2009). --Andres Veiel's fiction feature debut IF NOT US, WHO?, which will have its world premier in Competition at the 2011 Berlin International Film Festival. --NIEMANDSLAND (working title) directed by Toke Constantin Hebbeln. =>Alicia was born in Gothenburg, Sweden. =>She made her big-screen acting debut in Lisa Langseth's PURE (aka BELOVED) which won the Flash-Forward Award at the 2010 Pusan International Film Festival. =>For the role of Katarina in PURE she was awarded 'Best Actress' at the 2011 Guldbagge Awards. =>Most recently, Alicia had a lead role in Ella Lemhagen's CROWN JEWELS (2011). www.qporit.com -- LOVE'S FINE WIT -- Shakespeare's sonnets selected and rearranged to dramatize the story of an intense love triangle, with Elizabethan music. One night only: April 23 6:00 at the Cornelia Street Cafe - 29 Cornelia Street NY 212 989-9319. In the Spotlight this week is the 4th Annual CANNES INDEPENDENT FILM FESTIVAL (CIFF), showcasing independent cinema in the South of France, and providing filmmakers the opportunity to screen in Cannes during the time when the Cannes Film Festival takes place. Unaffiliated with the Cannes Film Festival, CIFF seeks to be an equalizer for indie artists, leveling the playing field and offering a unique opportunity for filmmakers to get their projects both shown and sold. CIFF presents its selections as part of the Marché du Film, the international film marketplace where films are bought and sold during Cannes. Several films from CIFF 2010 were sold in the Marché du Film and went on to international releases, including RED WHITE & BLUE and PARADOX. CIFF filmmakers will be assisted in promoting and selling their projects at the Marketplace, and are invited to attend marketing and sales courses, network with industry players, and host launch and promotion parties in conjunction with CIFF. Some participating filmmakers will be extended accommodations in addition to travel and airfare allowances. Sponsored prizes valued at over $50,000 USD will be distributed, and 11 category winners will be recognized. CIFF showcases emerging talent and promotes low-budget and independent films and screenplays to the industry during the time when the Cannes Film Festival takes place, although the event is not affiliated with the Cannes Film Festival (Festival de Cannes). With an emphasis on new talent, discovery, and innovation, CIFF's vibrant program of films and events combines a commitment to indie filmmaking ideals with a sound understanding of their possibilities in the marketplace. Filmmakers work together to promote each other's projects, making CIFF an exciting and comfortable place to screen your film. Submit your film or screenplay to the Cannes Independent Film Festival for the chance to promote your work in the South of France during one of the world's biggest film events! Fine show. Russell Brand was a fine host. He bled for us! "Are you gods or are you men?" "I killed George Washington." "That did not go as planned." British flag over the WHITE HOUSE. Spiderman doesn't allow reviews yet. Unless they have a quote they can use in the ads. SNL job opening -- Head writer in charge of making sure every skit has a funny ending. A Spot of Tea (Pouring Tea Causes Earthquakes) Nonsensical. But funny. Livin' Single... Good to the very end... and all the body parts in between. Weekend update -- Sharp. Gets better. Peaks at Hosni Mubarek - Stays a great one 'til... alas... the ending. The King's Taster aka The King's Speech. -- Great sketch. British Film Preview hilarious. There's some future tough guys on the SNL cast. Funny travel sketch goes blah at ending. Someone needs to be on-call to re-write the ending of certain sketches. Host monologue -- Russell Brand is funny. Spiderman Injury Attorney -- better than Conan parodies. Each year, the THURNAUER SCHOOL OF MUSIC at the Kaplen JCC on the Palisades holds an event to benefit the scholarship fund, promote music and music education, and provide an exceptional educational and musical experience for its students and guests. Called THE GIFT OF MUSIC, this event includes a concert by one (or more) of the world's most brilliant musicians, and a workshop in which the musicians interact directly with the student. 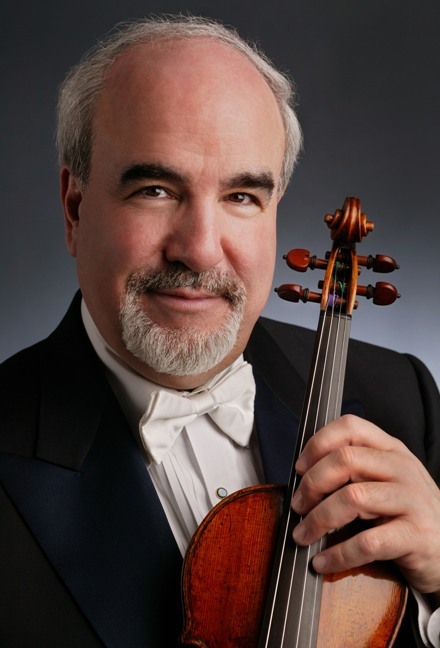 This year, on Wednesday, February 9, the GIFT OF MUSIC will feature Alan Gilbert, the music director of the New York Philharmonic, and ten musicians in the orchestra, including Glenn Dicterow, Concertmaster, and Sheryl Staples, Principal Associate Concertmaster. They will perform a selection of chamber music, and then Alan Gilbert will conduct the Thurnauer School Of Music student orchestra in a performance that includes the "Theme From Schindler's List," with Glenn Dicterow as soloist. In addition to the concert, the Gift Of Music event always includes interaction directly with the students. In prior years, performers have played together with the students in the afternoon, answered questions, and hung out. Violinist Maxim Vengerov told the musical story of Ferdinand The Bull, with the students around him on the stage. Wynton Marsalis played basketball with the students in between the afternoon workshop and the evening concert. It is extremely generous of Alan Gilbert and the musicians in the Philharmonic to take time out from what is an incredibly busy schedule to support music and music education with the students of the school. Music and music education is extremely important. The support from such distinguished musicians and cultural icons is especially welcome when times are tough and resources are scarce. It is critical that the community respond to this generous gift by Alan Gilbert, and the other incredible musicians by supporting music and musical education and becoming active participants in the musical community! Guided from the beginning by Founding Director Dorothy Roffman, The Thurnauer School of Music is celebrating its 27th season. It is a "community school" -- which means that everyone is welcome, anyone can attend. Located at the Kaplen JCC On the Palisades in Tenafly, NJ, membership at the JCC is not required to study at the school; there is no age requirement; no audition to pass. Each new student, whether a 3 year old starting violin, a ten year old learning the guitar, a twelve year old flutist with some prior training, or a retiree starting to practice piano again, gets an audition that places them with the right teacher, but no-one is turned away. The school maintains the highest level of instruction. Teachers come with the best music training in the world; and they must be good teachers. The standard is that every student must have a good experience, as well as the best training. The Thurnauer School of Music is one of the best places in the world to start an instrument. The school provides instruction in many instruments, plus choral, chamber music and orchestral experiences. In addition to the annual Gift Of Music Concerts, there are several Master Classes given during each year. Auditions to participate in these events are open to students in all of New Jersey. Many great musicians, including Itzhak Perlman, and several members of the New York Philharmonic, including some playing in Wednesday's Gift Of Music Concert, have taught these Master Classes. The school has several partnership programs with schools in New Jersey, including the Music Discovery Partnership in which students receive music education from the Thurnauer School, and the Chamber Music Express program in partnership with Class Notes, which brings music education to classrooms in New Jersey and around the region. Students at the Thurnauer School have many performing opportunities at the school, and outside, including Lincoln Center, Carnegie Hall, and other venues all over the region. One student played on the Sesame Street float at last year's Thanksgiving Day Parade. Former students now play all over the world in orchestras, chamber music groups, and solo concerts. Some teach music. Some have gone on to other careers with a legacy of knowing and loving music. Some have sent their own children to the school. Shortly after the school was founded, Maria and Bill Thurnauer provided personal and financial support for the school, that gave it strength to grow. A few years later, Joan and Alan Handler initiated and began supporting the Master Class program and then the Gift Of Music Benefit Concert. The Richard H Holtzer Memorial Foundation helped establish chamber music concerts by the Thurnauer Chamber Music Society. Additional major contributions have supported the partnership programs, scholarships, and other activities. - Andres "Chants d'arriere-saison for Bassoon and Harp"
- Williams "Theme from Schindler's List"
General admission tickets are available at the BergenPAC box office, 30 North Van Brunt Street in Englewood (Monday to Saturday, 11 a.m. to 6 p.m.), online at www.bergenpac.org, or by telephone at 1-888-PACSHOW (1-888-722-7469). VERY IMPORTANT: THIS IS A BENEFIT CONCERT! This is a benefit concert. Event sponsorships are very important! Sponsorships may include patron seating, a meet-the-artist reception and additional benefits. Sponsor inquiries should be made through the Thurnauer School, at 201-408-1462 or thurnauer@jccotp.org. The school reaches out into the community through public performances and its 12- year Music Discovery Partnership with the Englewood Public Schools, a program in jeopardy due to budget cuts. The Thurnauer School of Music (www.jccotp.org/thurnauer), established in 1984, has been designated as a “Major Arts Institution” by the New Jersey State Council on the Arts/Department of State. It serves more than 700 students in the New York/New Jersey metropolitan area. It also serves as an area cultural resource by presenting more than 30 concerts annually, as well as master classes with world-renowned artists. The School is a member of the National Guild for Community Arts Education and an integral part of the Kaplen JCC on the Palisades. JCC membership is not a requirement for enrollment or financial aid at the Thurnauer School. The School is supported, in part, by the New Jersey State Council on the Arts/Department of State; the Geraldine R. Dodge Foundation; the Richard H. Holzer Memorial Foundation; the Community Chest serving Englewood, Tenafly and Englewood Cliffs; the Sacramento Region Community Foundation; the Lillian Pitkin Schenck Fund; and numerous individual donors. For further information, contact the music school at thurnauer@jccotp.org or 201-408-1465. When they were good, they were very, very good. And when they were bad, they were horrid. Dana Carvey did a decent job of hosting. He had brief visits from old friends Mike Myers and Jon Lovitz; and not a bad appearance by Justin Bieber (as Justin Bieber) on The Church Lady sketch (but punches were pulled... not even close to Skins). I liked the look of the B&W start of Linkin Park's 2nd set, and the music 'til they started singing -- I've never liked the SNL mix of vocals. Here's some more notes on the highlights (and the echh-y sketches). =>Wrap-up - Not a bad show tonight, not a great one either. =>Wrap-up - Dana Carvey has two great looking kids. =>Promo for Celebrity Apprentice... that was a sketch, right? =>Wurtz is a character with character. A winner, consoling losers. =>Pageant -- Wiig's one word ... "Me!" was the funniest moment in the whole sketch. But the sketch has a real kick. Satire with an edge. Not funny, but edgy. =>Live with Regis & Kelly ... Not so funny. =>Bieber & SNL generating about 1000 tweets or more per half hour. =>Weekend Update - Egypt Winners and Losers, James Franco & Disco Weather rocked on the mark. =>THE ROOMMATE - Better than the real thing! NOT! Maybe scarier than the real thing in a different way? =>Celebrity Crisis Center -- Great concept, limp writing, lousy impersonations, except for Eddie Murphy. That man's GOOD! =>Church Lady. The voice is a little out of practice, but... Still funny, after all these years. Decades, actually. =>Black Noise commercial. I'll buy it. =>Monologue... ecch. I don't care for "I'm the best" monologues. This one was especially flat. =>OMG! it's Wayne's World, back like were all back at 9 yrs old. Here's the SNL web site -- It should keep up with the show. It seems kind of lazy, with a confusing design besides. Here's the SNL Twitter site. It's also kind of lazy.